Sponsored Content is an attractive option for advertisers looking to communicate their industry expertise in greater detail than a traditional print or digital advertisement. By telling your brand’s story in the form of an article, you will stand out from traditional advertising with these benefits. ​The advertiser can select a one- or two-page layout for their content. Additional pages can be accommodated on a case-by-case basis. Athletic Business will design the piece to match our style and formatting and send to client for approval. 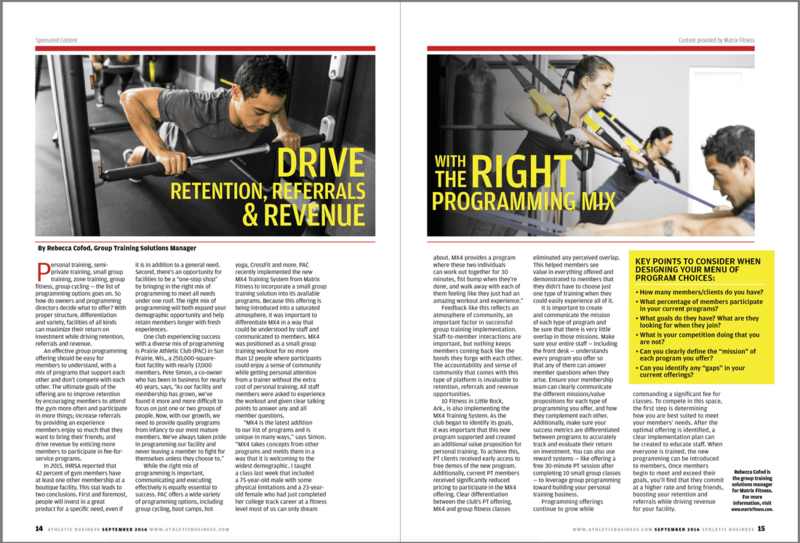 Athletic Business works with the customer, but ultimately controls where in the magazine your content appears. There is no word limit, but we recommend 600-800 words. The advertiser may provide additional photos, videos, social media posts and links to be embedded in their piece of sponsored content. This content may not include links to competing media brands’ websites or embedded media produced for or by a competing media brand.